Adorable little puppy card, love the paw prints & paper too! I love this little dog! So cute! Puppy is so adorable. Great Card. What a super cute card, Sharon. 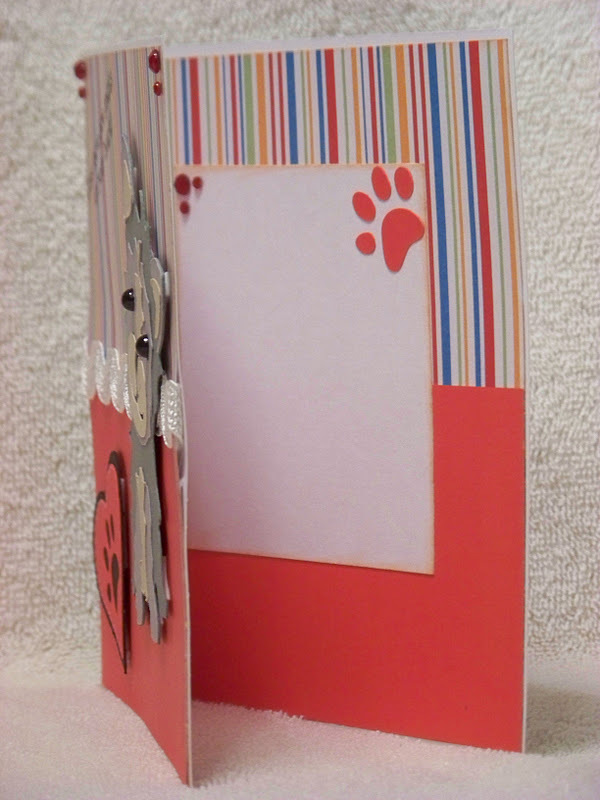 Love the color palette you chose and that little paw print inside is just the BEST. So Fun! Drop by my blog when you have a sec and enter my Valentines Giveaway! Oh my goodness Sharon,your little puppy looks so much like my Lola! I now have to add this cart to my wish list! What an adorable little pup and the heart with the paw print is precious....love this! This is an adorable puppy card. I love the paper you used. This is such a cute card....right up my alley! 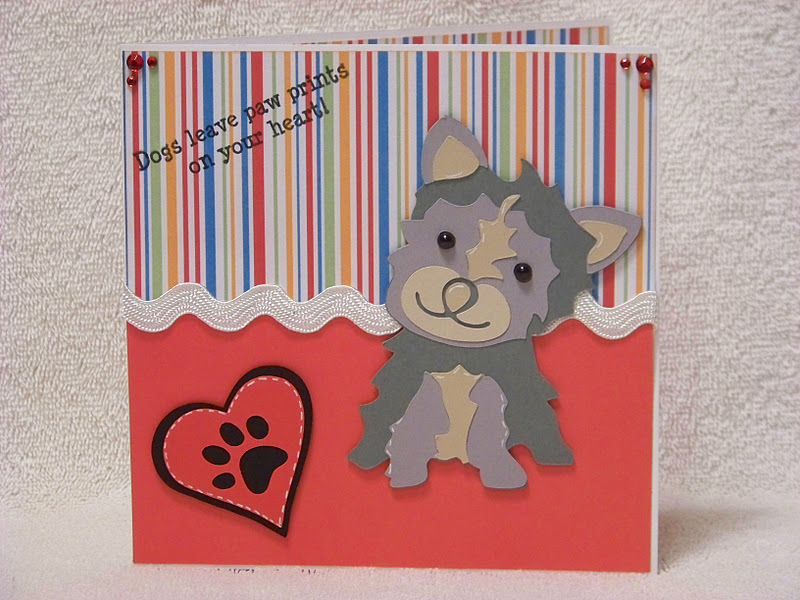 I LOVE doggie cards....You did an amazing job with this one!